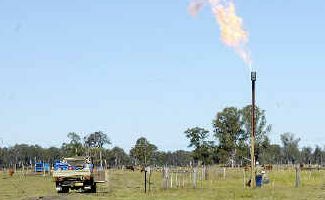 Gas bonanza: A file photo showing contractors drilling for gas at a Metgasco exploration site at Casino. Gas reserves in the area are now being developed to supply the Northern Rivers area, and hopefully the export trade into China and Japan using a proposed 140km pipeline into Queensland. CASINO’S coal seam gas could be headed for Japan and China if gas company Metgasco’s plan to build a 140km pipeline from Casino to Ipswich gets a tick from the government regulator. 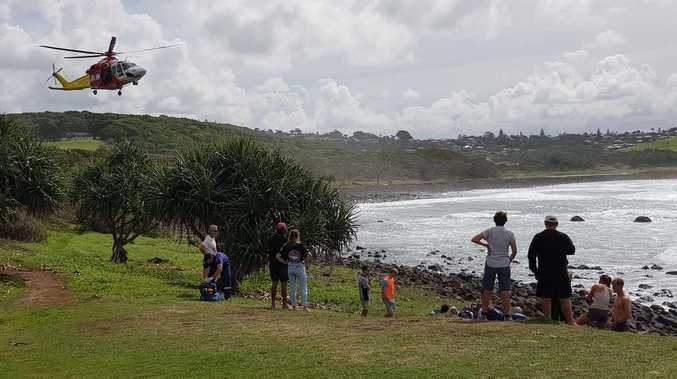 Metgasco managing director David Johnson said the pipe, if approved, would connect with another pipe sending natural gas to Gladstone, where it could be liquefied and loaded on to ships. The pipeline, either 25cm or 51cm in diameter, would be buried more than 1.5 metres underground and would follow the Lions Road across the Border Ranges. It would cost about $120 million and Mr Johnson said Metgasco was still looking through the different ways it could finance the project. Mr Johnson said the market dem-and and dollars on offer for liquid natural gas were ‘mind-boggling’. About a fortnight ago, BG Group announced a $60 billion deal to supply Queensland liquid natural gas to China for the next 20 years. It backed up that announcement a week later saying it had signed a deal with Tokyo Gas and Electric to provide another $40 billion worth of the clean energy, gleaned from Queensland’s SuratBasin. “This is a substantial opportunity, if we can get our gas to Ipswich,” he said. Metgasco is still working on itsenvironmental assessment for the pipeline, which Mr Johnson expected to lodge with the regulator ‘within a few months’. Assuming all boxes were ticked, the regulatory and approval process is expected to take until 2013. Construction of the pipeline would take another year. Mr Johnson conceded there would have to be some land clearing to lay the pipeline, mainly to bring in equipment needed to do the work. “Once the pipes are buried and (the bushland) is allowed to regrow, the footprint would be very minimal,” he said. The pipeline and the dollars on offer from South-East Asia would have no impact on the company’s plans to provide gas and power from Casino, he said. Mr Johnson said the effort of building natural gas pipelines to and through Casino would be a greater challenge than the Queensland line, but it was still worthwhile for the company. “It’s our intention to sell the gas where we see the opportunity to do so,” he said. Part of that as a recognition that if you take a resource from an area that resource ought to be available in that area. However, Casino’s gas network would be no charity project. “The dollars we earn within the Casino region would be as important as the dollars we earn from elsewhere,” he said.